Do you like creamy delicious sauces that are full of flavor? Me too! And this one fits the bill. It has the perfect creamy texture. It is everything you love about a bechamel but made brighter with lemon. You with me? Now, take that sumptuous sauce and infuse in some rosemary. Yep! It is really easy to make and will kick up anything you put it on. Imagine it with chicken and pasta. Ooh, or a white chicken lasagna. I think that is happening! SOON! 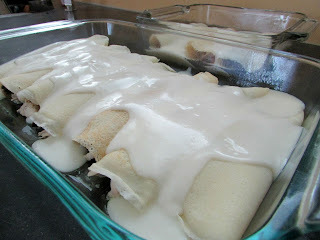 This time it baked over stuffed crepes and it was perfect! 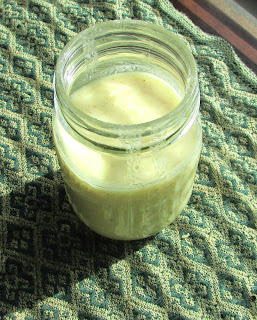 In a saucepan or skillet, melt the butter over medium to medium-low heat. Stir in the flour and cook for a couple of minutes. You don't want to roux to take on any color, but you want the flour flavor to cook out. Whisk in the milk until smooth. Don't panic if it is a little lumpy at first, keep whisking until it isn't. After a minute or two, add the lemon juice and sprigs of rosemary. Continue to cook over medium to medium-low heat, stirring frequently until you reach your desired consistency. It should just take a couple of minutes more. Remove the springs of rosemary before using. I have a massive rosemary bush in my yard! I'm going to try this with gluten free flour and coconut milk. Thanks for the inspiration! This looks SO GOOD! Sadly, I just tossed my rosemary plant. In my defense, it was just barely hanging on and was starting to annoy me (as outdoor things tend to do at this time of the year.). Thank goodness for fresh rosemary at the market! I had one that was sooooo big that it annoyed me and I had to get rid of it too. My current one is doing pretty well. I keep it in a pot and move it into the back porch during the winter so I can use it year round. The market is a lot easier though! 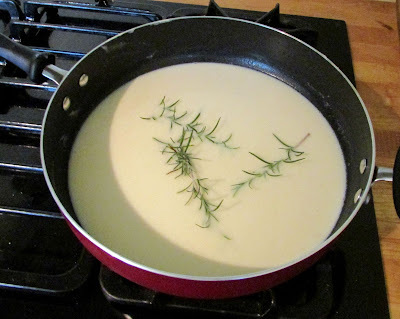 I love the combination of lemon and rosemary and creamy sauces in general, this béchamel, sounds wonderful! Thanks for sharing at What'd You Do This Weekend?! Delicious sounding recipe. Thanks so much for sharing it at the #AnythingGoes Link Party.